Some were governmental leaders (CDC, FDA, USDA). There were leaders of companies with household names in food production, wholesale and retail sales. And very importantly, there were vendors offering the latest innovations in food borne illness prevention. It was quite inspiring to meet so many committed and passionate food safety leaders all in one place at the Food Safety Summit. Four devoted “not for profit” organizations had booths at the Food Safety Summit that I think deserve special recognition and words of accolade. Shortly after the Jack in the Box tragic E. Coli epidemic in 1993, StopFoodBorneIllness.org was founded. Nancy Donley, the mother of one of the victims, turned her grief into a crusade to prevent this from happening to others. Nancy’s efforts have been combined with Diedre Schlunegger and many others. Diedre is now CEO of STOP. She and Nancy are both in leadership roles. They are creating alliances within the food industry and advocating for changes in public policy. Anyone seriously affected by food borne illness is encouraged to tell their story and become part of the STOP community forum. Stanley Rutledge is the Community Coordinator of the forum. The online forum now is a heart wrenching video library. HandWashingforLife.com is the passion of Jim Mann, CEO and Chief Scientific Officer. Jim spent years in the chemical industry with SC Johnson but felt a need to have an impact on the food borne illness epidemic. HandWashingForLife.com has developed alliances with companies improving hand hygiene. At the Food Safety Summit, Jim, his wife and their son Michael sponsored a booth that had a hands-on display of the inadequacy of handwashing. It was a teaching moment for many. Well done! Food Safety Magazine has become the industry leader in news, analysis and in-depth coverage for food safety. The magazine provides a timely resource for food safety professionals. Bill Marler privately funded the online magazine. Bill Marler was the leading attorney in the Jack in the Box case and now is a personal injury attorney and food safety advocate. The magazine was referenced several times by leaders at the Food Safety Summit. Continually reference is a true testimony to its importance. It was great to meet Coral Beach, Managing Editor. I have been honored to have written four articles for the Food Safety Magazine. Finally, the National Environmental Health Association (NEHA) organization showcased its valuable educational programs for food handlers. NEHA currently serves thousands of environmental health professionals advancing education and professional standards. I met Rance Baker, Director of NEHA’s Entrepreneurial Zone, a year ago. He was there again this year. Through his introduction, I am proud to say, I am now working with some key NEHA staff exploring issues in restaurant food safety. 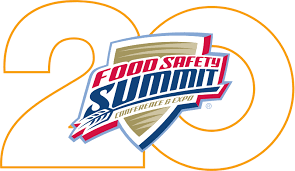 There were countless other professionals from industry, government and the public sector at the Food Safety Summit. They all shared a passion to improve food safety for the consumer. I am proud that DiningSafetyAlliance.org can do our part in that mission.